The TVU Networks family of IP transmission and live production solutions gives broadcasters and organisations a powerful and reliable workflow to distribute live video content to broadcast, online and mobile platforms. •Live Broadcast Production featuring the award winning TVU One mobile IP transmitters, receivers and TVU Grid distribution products as used by many of the industry’s largest television networks. Taking this content and embedding caption data into the video on the fly will be shown live using the TVU Transcriber AI assisted captioning tool. •The TVU Producer cloud-based video switching and production solution which allows users to take their live content and move it seamlessly to multiple social media platforms, completes the live broadcast segment. •The TVU RPS (Remote Production System) is a cost-effective solution for remote and synchronized Multi-Camera live video production designed to work over the public internet. Version 4 of this product was introduced at NAB this year and will be demonstrated at ABE. Many organisations need robust internet access in remote or technically challenging environments especially with respect to live media contribution. The TVU Router family of products, featuring aggregated data paths consisting of cellular, Wi-Fi, satellite and ethernet will be on show at ABE. 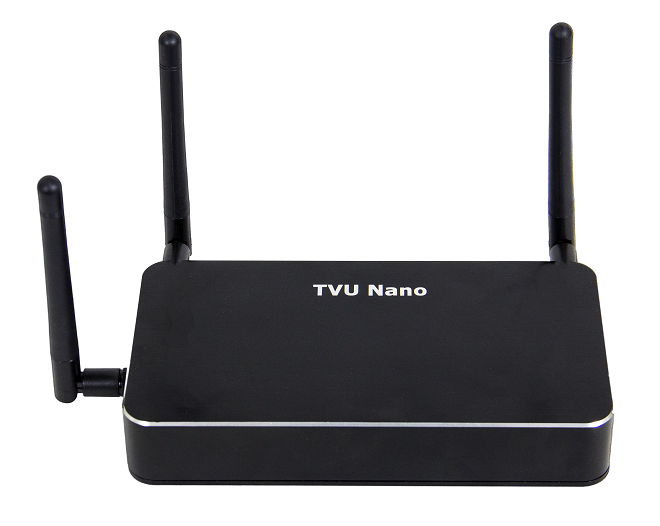 The latest and smallest product in the family, the TVU Nano will be shown for the first time in Australia.